2016 was a very rough year on musicians. We lost so many great ones. Some were legends, some were a bit more obscure, but there were certainly quite a few of them. George Michael was one of the more recent deaths, passing on Christmas Day 2016. While the musical tastes of my older siblings lend a hand to my personal musical preferences, George Michael came about at a time when I was a young adult, learning to forge my way on my own. Music videos were all the rage in the 1980’s, and I will never forget when I first learned about a musical duo who called themselves Wham! Two good looking guys on stage dancing in white T-shirts that had “Choose Life” blazing across their chests. Watching them dance and sing on my television, I knew then that I wanted to hear more of their music. To this day, I still have that cassette tape (as well as a few others from his solo career)..
After the duo split up, Andrew Ridgeley hooked up with Bananarama’s Keren Woodward, and they went off to live a secluded life in peace and harmony. George Michael continued on with his solo career. 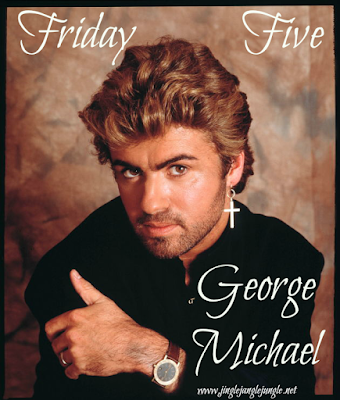 For today’s Friday Five I thought I would share with you five of my personal favorites from Wham! And from George Michael’s solo career. These are not in any particular order of preference, and it was difficult to narrow it down to just five songs. I love this song. The lyrics have always stayed in my head. Remember Kanye West’s song “Gold Digger”? This song came out long before and carries pretty much the same message. 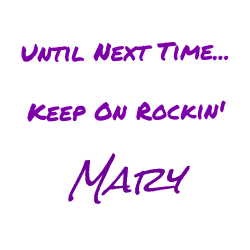 Listen closely to the song, you’ll see what I am yammering on about. I’ve added these songs to a playlist, plus a few others. Enjoy! Do you have any favorite George Michael songs? Tell me about them in the comments below. I’d love to compare notes!